Welcome back to our ongoing series of Watching the Hugos: 2017 Edition! Today we're doubling up Professional Artist and Fan Artist into one post because how I think about art and artists don't quite line up perfectly well with the format I've used for the read of the Reading the Hugos series. You'll note that I'm using the "Watching the Hugos"title, which isn't quite right but is the closest I could figure out in order to have consistency across the various categories. It'll do. Let's take a look at who the finalists are and then we'll get into a little bit of commentary. For each category, my evaluation is based on the submissions to the Voter's Packet. Professional Artist was an incredibly tough category this year. 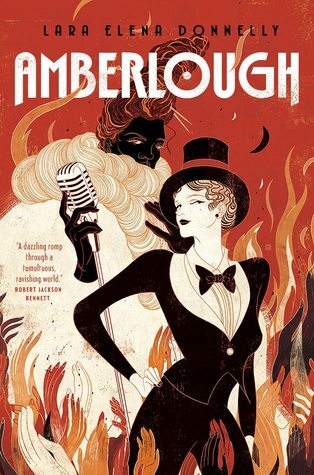 I noted in February that Victo Ngai's cover of Amberlough was enough to sell the book without knowing a single thing else about it. It remains stunning. 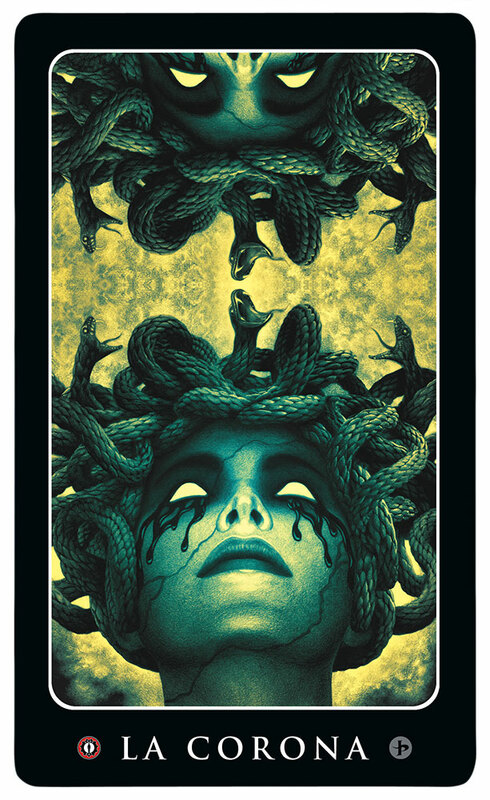 I don't know much about what the Loteria project John Picacio has been working on is all about, but I've been following his updates and it is quite possibly the best work of his career - and that's saying something. La Corona (above) is a standout piece of art. 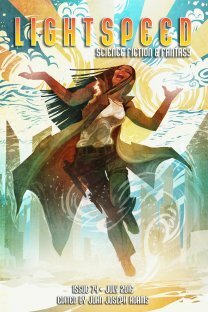 Galen Dara's cover of Lightspeed 74 is exceptional, as is everything else presented in the packet. 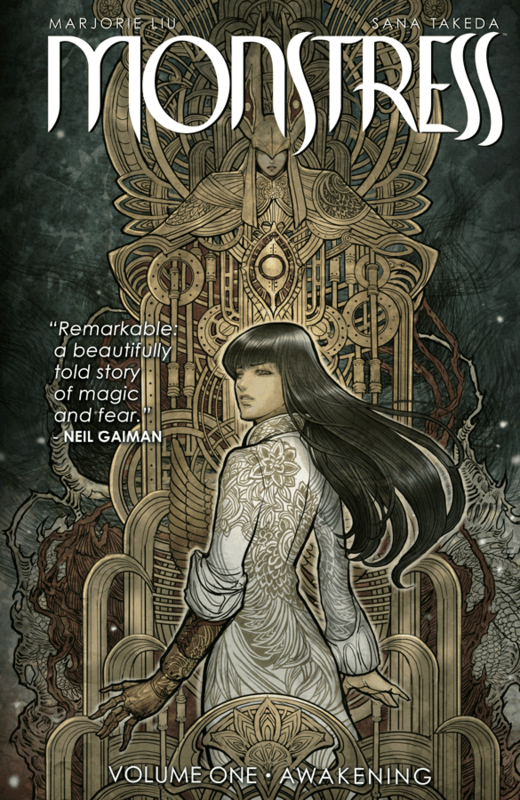 When I wrote about the Graphic Story finalists, I noted that Sana Takeda's art for Monstress was the finest of all the work in that category, and it continues to stand out here among the Professional Artists. Considering how to rack and stack those four finalists was the largest challenge in considering any of the artists. They were all so consistent in their excellence that I might slot them differently on a different day but on this day, this is how they are shaking out. As good as the work of Chris McGrath and Julie Dillon were, they did not quite stand up to the top four on my ballot. Fan Artist, on the other hand, was quite a bit easier to consider. If published in a professional market, Likhain's work would not have been out of place on the Professional ballot. Vesa Lehtimaki has some pretty cool fan art mixing live scenery with Lego or Star Wars vehicles. I've been a fan of Elizabeth Leggett's work in the past, both her professional and fan stuff, but this year I wasn't quite as impressed compared to Likhain and Lehtimaki. Spring Schoenhuth is a perennial finalist for her metalwork, which appears to be high quality but not quite my thing. After that, I'm less impressed with Ninni Aalto's submissions. They're better than Steve Stiles, but that is faint praise because I am so far from being able to appreciate his work that I can't imagine a year where I would place it above No Award at this point.